Super Mario Maker is a fantastic game that’s a victim of its own success. The thought of a Mario game with limitless content was, of course, appealing. It was even more promising while I was actually playing the game. 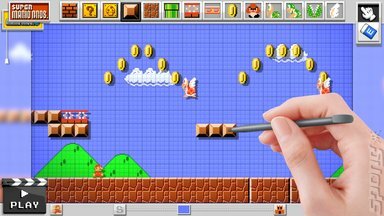 Super Mario Maker is fantastic, it makes creation fun and offers the chance to play Mario levels that would have never been developed by Nintendo. But if I’m honest, the appeal dropped pretty quickly once I’d got hold of the retail version. It was still the same game and even introduced some improvements over the review copy, but the influx of bedroom developers brought its own issues. The leaderboards have been dominated with levels that play themselves, ones that are full of trolling and others that are just insanely hard as a competition broke out between experienced players. It’s become increasingly difficult to find the levels that I want to play. The ones that test your skill without seeming impossible, or those that manage to find a unique idea within the rules of the game and develop it into some true Mario Magic. 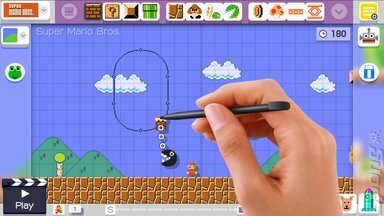 In order to get the most out of Super Mario Maker you need to change the way you play it. I’m now back on board, enjoying levels that should be floating at the top of of the starred list but fall through the cracks of Nintendo’s network. 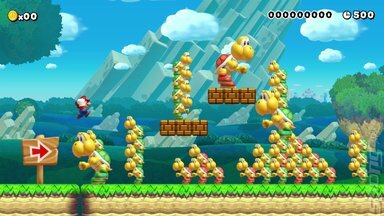 Here are my top 5 tips for getting the most out of Super Mario Maker and avoiding the same old autoplay levels that, although impressive, ultimately leave you cold. The idea behind the Star Ranking table is that the community votes on what they think are the best courses and naturally only the cream rises to the top. This seems like a bulletproof idea, but when people come together to vote en mass the results are far from what to you’d expect. One Direction have four UK number ones, Jim Davidson won Celebrity Big Brother and the Tories are in power. And such is the case with Super Mario Maker. At the time of writing four of the top five5 levels on the Star Ranking table are either levels that demand that you don’t move or ones where you just hold right. The 'up and coming' and 'featured' tables offer far more gems, so if you want my advice shun the popular and stick with the underrated. Rage against that machine, grow a beard, wear some skinny jeans and avoid the star ranked table like the plague. There are a few problems with connecting with people through the game. Comments aren’t easily accessible for designers, they need to exit out of the game, go to Miiverse and try and drum up the courage to put together some sort of reply together. In the world of social media the steps you have to go through to communicate with your favourite course designers or fans is inexcusable. Even more so when you consider you probably have an incredible communication device in your pocket. Use it. Ask people to send you their courses. 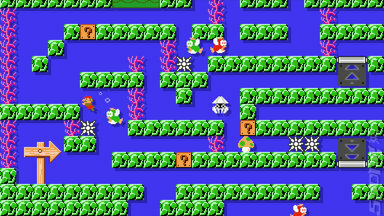 Search ‘Mario Maker Code’ on twitter and play what you can find. This way you can open up conversation on a media that’s designed for it. Believe me, those that have put levels together will be thrilled to hear from you. Unless you hated what they've worked on and want to give them a piece of your mind. If that's the case, go outside for a bit, count to ten and calm down. If you're still angry after that, abuse away.